Play Pétanque (A.K.A Boules) at ATF! 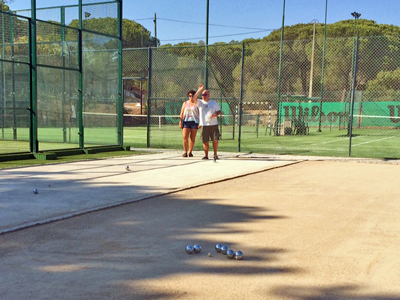 Algarve Tennis and Fitness has added the wonderful game of Pétanque/ Boules to its sports portfolio and now boasts its own Algarve boulodrome. So why not bring your friends or family down to Algarve Tennis & Fitness in Almancil and have a game? For details or to book a session on our Algarve boulodrome contact us today!